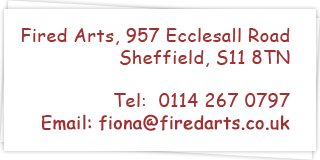 Welcome to the online home of Fired Arts Craft Café, Ecclesall Road, Sheffield. If you’re looking for an experience that’s decidedly different, utterly absorbing and totally creative you’ve come to the right place. 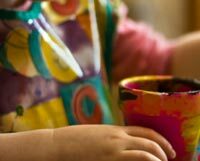 Paint a pot, make a mosaic or decorate using Decopatch ... if you fancy getting all creative and crafty, we can help, whether you’re aged two, or ninety two! Please like and follow us on social media to be the first to hear about latest news and special offers.